Authors: Heinrich Louw and Louise Kotze (Cliffe Dekker Hofmeyr). Where a taxpayer is dissatisfied with the decision taken by the South African Revenue Services (SARS) regarding an objection made by the taxpayer to an assessment, the taxpayer is entitled to appeal against such decision to the Tax Court. The Rules of the Tax Court, promulgated under s103 of the Tax Administration Act, No 28 of 2011 (TAA), prescribe the procedure to be followed when proceedings are instituted in the Tax Court. In Lion Match Company (PTY) LTD v Commissioner for the South African Revenue Services (2018) ZASCA 36 (27 March 2018), the Taxpayer noted an appeal against the disallowance of an objection raised in response to an additional assessment issued by SARS. The additional assessment arose after the Taxpayer disposed of its entire shareholding in the Kimberly Clark Group in the 2008 year of assessment. In determining the taxable capital gain, the base cost of the shares was taken as the market value of the shares as at 1 October 2001. It was this value that SARS later adjusted, which caused an increase in the taxable capital gain of the Taxpayer. The focus of this case was not on the merits of the dispute between the parties, but rather the correctness of the procedure followed by the Taxpayer in its appeal to the Tax Court. After the Taxpayer had noted its appeal, SARS delivered its statement of grounds of assessment to the Taxpayer in accordance with Rule 31 of the Tax Court Rules. This rule contains a provision prohibiting SARS from including in its statement any ground that constitutes a novation of the whole of the factual or legal basis of the disputed assessment. Instead of submitting its response in terms of Rule 32, the Taxpayer then brought an application to the Tax Court in which it asserted that SARS had included in its statement a ground that constitutes a novation and asked the Tax Court to set aside the statement. The Tax Court dismissed the application but granted leave to the Taxpayer to appeal to the Supreme Court of Appeal (SCA). The Taxpayer then appealed to the SCA. 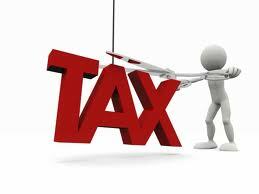 In the SCA, SARS argued that the decision by the Tax Court was not appealable. (c) Any other decision that may be objected to or appealed against under a tax Act. Furthermore, s129 sets out the ambit of decisions that the Tax Court may make in response to an appeal lodged under s107. In turn, s133 of the TAA provides for appeals against decisions of the Tax Court under s129. The SCA held that to determine whether the decision of the Tax Court was appealable, it had to be determined whether the decision was one contemplated in s104(2) of the TAA. The SCA found that the decision did not fall within s104(2) of the TAA, and that the decision of the Tax Court was accordingly not subject to appeal.